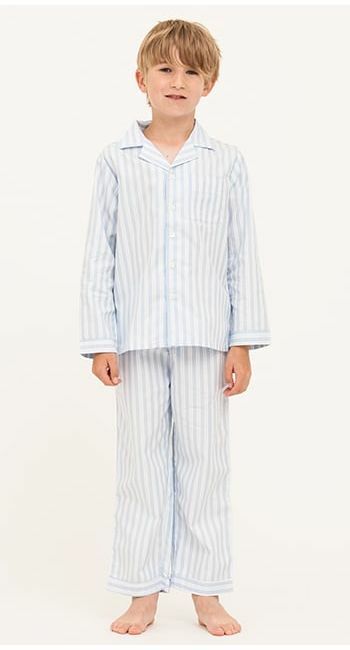 These stunning boys' cotton pyjamas feature a fine blue and white stripe with an elephant jacquard woven into the fabric. 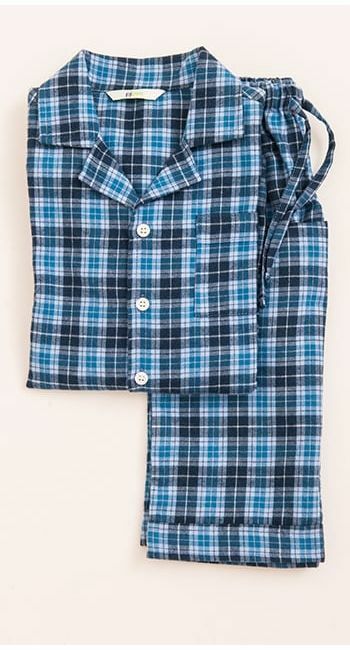 Finished with real shell buttons and stylish turn ups on the cuffs and trouser hems. 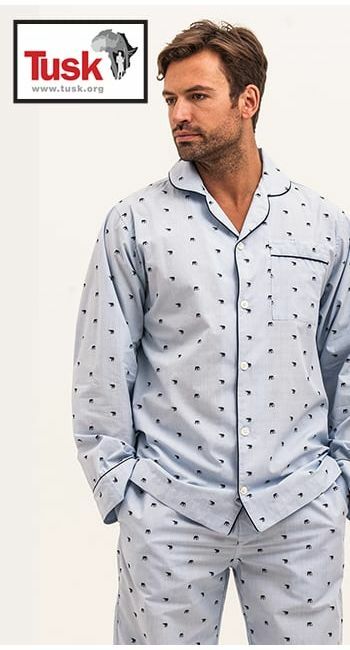 Matching men's and women's pyjamas available. Fabric type: Classic woven cotton with a jacquard weave. Please note we have a 9-10yrs pair that has been deemed as a factory seconds (fabric fault on the back of the jacket) so please contact us if you are interested in this at a discounted price.